Echosmith performs at Universal Studios' 5 Towers Stage in Hollywood. Straight off touring on Vans Warped Tour, two of the hottest bands performed at Universal's 5 Towers Summer Concert Series on Monday night. 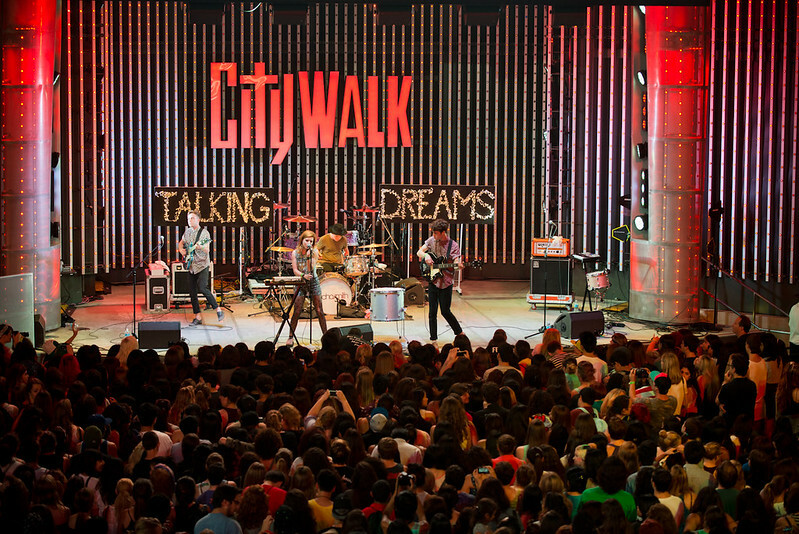 The Summer Set and Echosmith's pop-alternative showcase packed the main concorse at CityWalk for a free concert. Echosmith's debut album Talkind Dreams drops October 1st. Echosmith, one of the most surprising acts of the year, has been all the buzz since their summer sampler debuted last July, promising something not normally associated with a young, teeny band such as themselves. Their sound? Much more mature-sounding as one would think when you hear the band's age range; 14-20. Also surprising are their musical influences ranging from The Smiths, U2, Fleetwood Mac to Joy Division so imagine their sound when fused with '80s pop and the alternative attitude of the '90s. You get songs like the shoe-gazy, mysterious "Cool Kids" and the Breakfast Club inspired "Come Together." 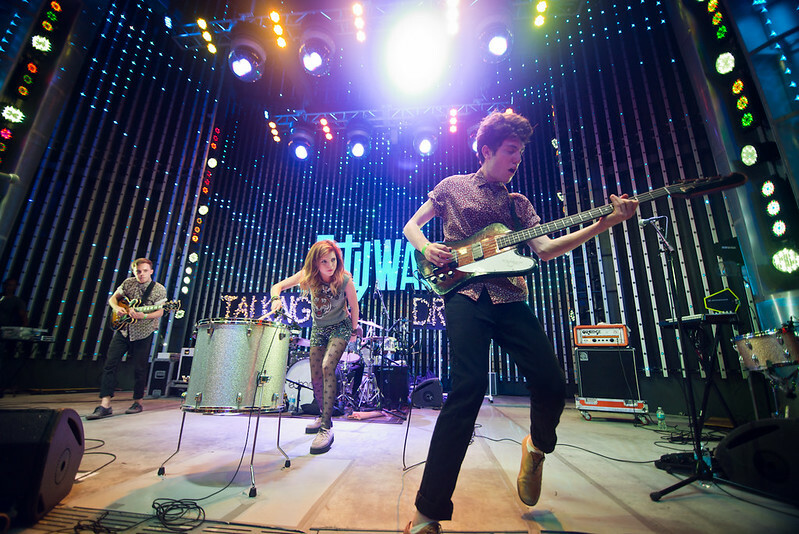 This night at Universal's 5 Towers stage, Echosmith are a natural performing on stage. Their confident stage presence just highlights their electric show fueled by youthful songs that are smart and fresh - a complete 180 from the Britney Spears' and Miley Cyrus' of the world. This a band parents would love their kids to emulate. 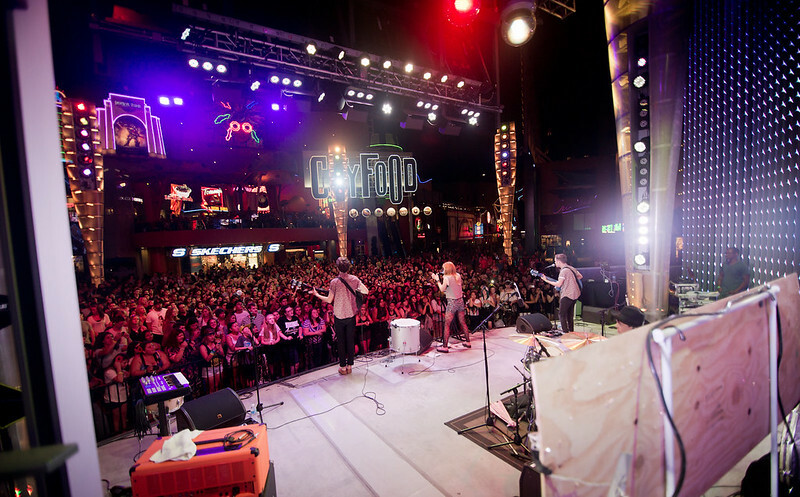 Echosmith at 5 Towers at Universal CityWalk. Echosmith are set to release their debut album Talking Dreams on October 1st with shows at Bardot's KCRW School Night and the La Brea Tar Pits leading up to the release. And check out more photos of Echosmith at The 5 Towers on our Flickr page right HERE. Echosmith official music video for "Talking Dreams."